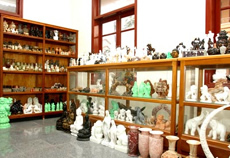 Add: 233 - 241 Nguyen Van Thoai St. - Son Tra dist. - Da Nang- Vietnam. With 900 meters long, My Khe beach is the most crowded of Danang beaches. My khe being popular as it has some enabling conditions such as being near the city's center, large space, beautiful landscapes, and varieties of services: hotels, restaurants, vehicles keeping site, fresh water bathing, sunshade and buoy lease, etc. 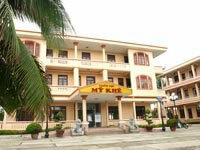 The My Khe beach hotel has 5 villas including 45 rooms. All are well furnished and equipped with AC, IDD telephone, satellite television, private bathroom, fire detector. Deluxe : 03 large rooms with sea view; 35 m 2 . Restaurant: Restaurant of Asian and European Cuisine. Facilities: Massage Sauna, Steam bath, Tennis court, Badminton court, Travel and Tour service.